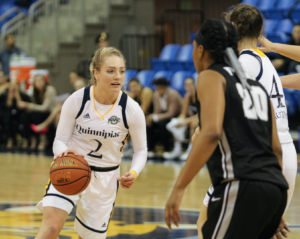 The Quinnipiac women’s basketball team (5-3) defeated Providence (6-4) on Wednesday, 62-36, to extend its winning streak to five games. Quinnipiac head coach Tricia Fabbri was impressed with her team’s defensive performance and liked how it didn’t let recent injuries affect the Bobcats’ play. The Bobcats were able to get an early lead in the first quarter at 17-8 and had 57.8 percent field goal percentage. Sophomore guard Taylor Herd was able to contribute right away by scoring five points. Herd started back-to-back games for the first time in her career and finished with 10 points, which tied a career-high. Fabbri knew that Herd was prepared for the role and that the sophomore class was going to be a big part of the team’s production. In the second quarter, Quinnipiac was able to carry the momentum with help from junior forward Paula Strautmane. Although she appeared to get injured twice, Strautmane still finished the game with 15 points, five assists, five steals, two rebounds and 1-for-2 shooting from the 3-point line. In the third quarter, Strautmane went to the bench due to a cut on her right arm. 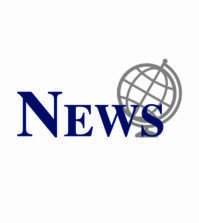 After returning from that injury, Strautmane appeared to bang her head on the court in the fourth quarter as she dove for a loose ball, but returned a few minutes later. Junior forward Jen Fay was able to contribute for the Bobcats to maintain their lead throughout the second half. She had nine points and a career-high 15 rebounds. Fay knew that the team had to move on from the injuries of senior forward Sarah Shewan and sophomore guard/forward Vanessa Udoji, and understands that her team still has ways to go to reach their potential. 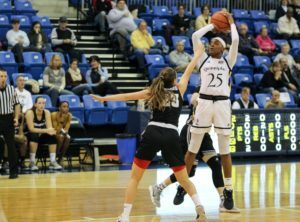 Quinnipiac’s defense also play a huge role in its victory, as it finished with 29 defensive rebounds, four blocks, 17 steals and scored 21 points off turnovers. On Saturday, the Bobcats will try to extend their winning streak to six games against Princeton. Princeton holds a 5-2 record and has yet to lose a game on the road this season. Fabbri hopes that her team can carry the same energy in that game as they did on Wednesday and knows that Princeton will be a challenge.